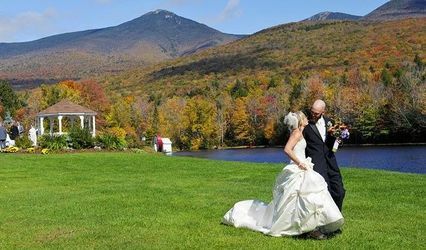 World Fellowship Center is a serene wedding event venue located in the White Mountains in Albany, New Hampshire. 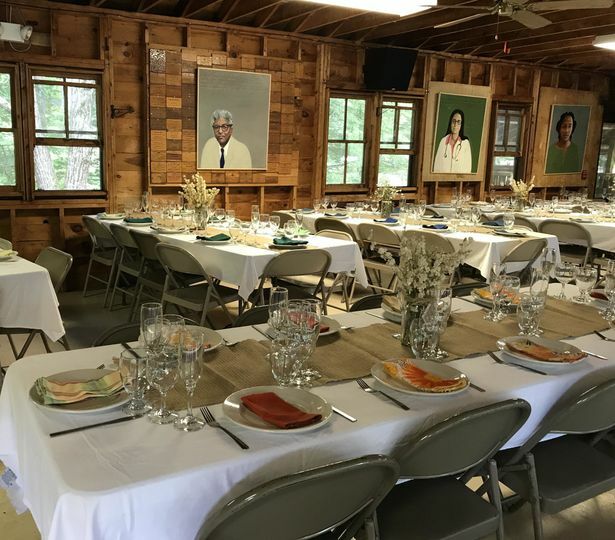 This location is an absolutely stunning place to gather with large groups, and the quaint wooded area will delight and rejuvenate your guests. They strive to make your wedding beautiful, peaceful and uniquely you. 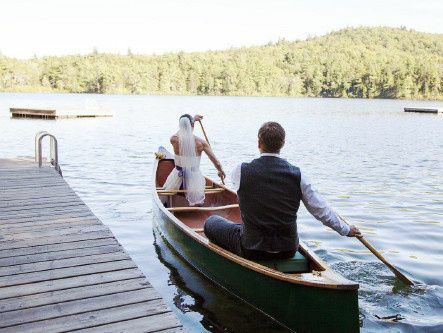 With a wooded setting and access to walking trails along mile-long Whitton Pond, this venue provides you with a natural wilderness experience. 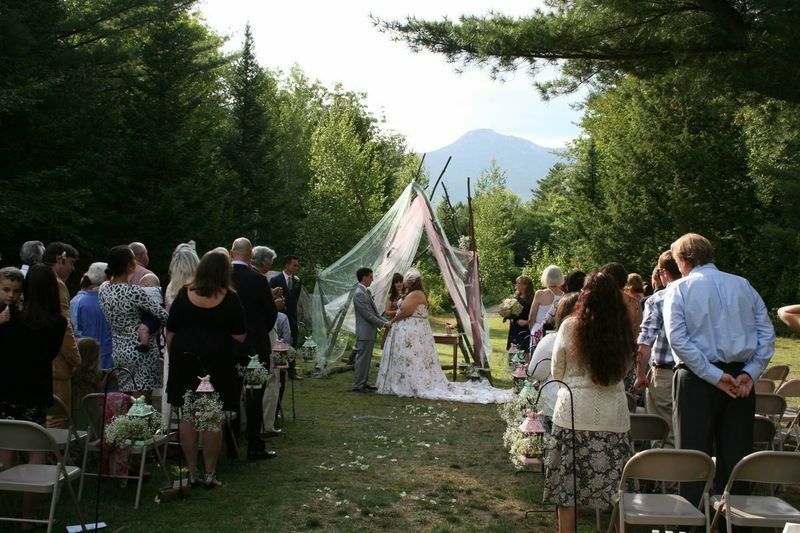 Ceremonies can be performed inside or on the lawn with Mount Chocorua as the backdrop. 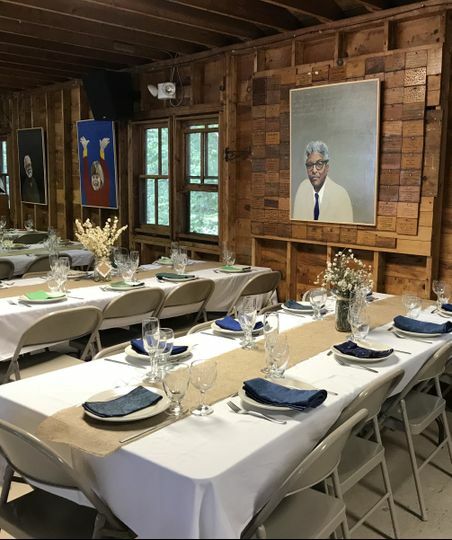 Your reception can be held in the dining hall, which can 70-120 guests. World Fellowship Center can work with you to help create a customized menu of appetizers, entrees, soups, salads, and desserts. They can also cater to special diets such as vegan, vegetarian, and gluten-free. 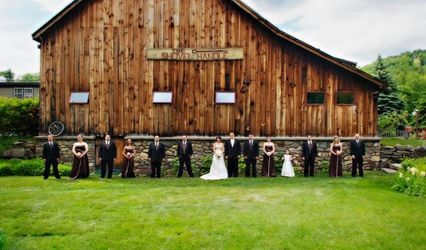 We had looked into a few different outdoor venues for our August 2017 wedding but we kept coming back to WFC for many reasons. 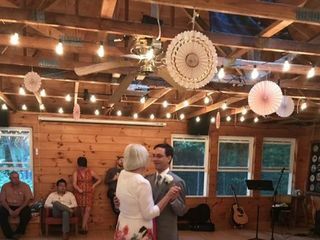 Andrea, Andy, and Anna all made the decision easy for us with assurances along the way that there would be plenty of help to organize, assemble, and initiate our wedding weekend of love and all of the staff came through with flying colors! The Food: All of the food at WFC is included with your daily per person rate. The mostly vegetarian food was always amazing and prepared/served with love and care. 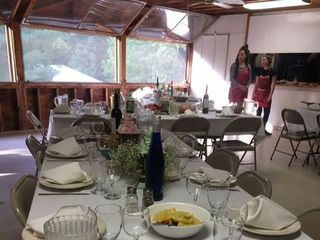 In addition to the daily three meals provided, WFC was also able to add additional hors d'oeuvres, snacks, and desserts for our wedding at minimal cost along with all the necessary table settings, champagne glasses, etc. Not having to deal with any outside food/catering companies made our weekend that much more relaxing and enjoyable! Accommodations: WFC has a large selection of overnight options ranging from camping to B&B styles lodgings. Not all guests are required to stay and there are plenty of local area lodgings available for guests not interested in staying on site. The rooms were all comfortable and really added to the community feel they encourage. 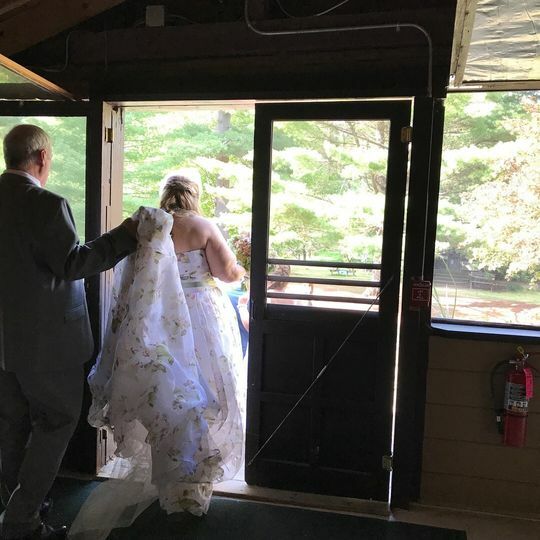 The Ceremony & Reception: While any outdoor wedding runs the risk of rain, WFC did have the option of having the ceremony inside in case of a downpour. We lucked out, however, and had an absolutely beautiful weekend of blue skies and warm air. 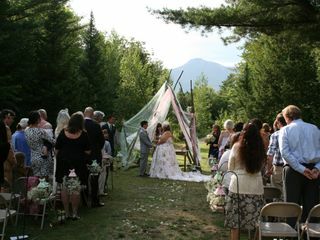 The ceremony was held alongside the peace rock in full view of Mt. 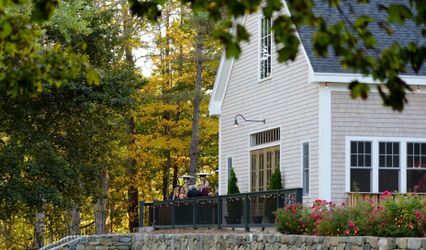 Chocorua on the grassy lawn with plenty of room for our guests and the onlookers from the lodge porch. Andy was able to provide us with tables, chairs, and even a portable sound system with microphone. The Schmauch Room was easily the highlight of the night, with plenty of dancing room and a great sound system. Words really cannot describe how wonderful our wedding experience at The World Fellowship Center was. We will return as often as possible for many years to come! 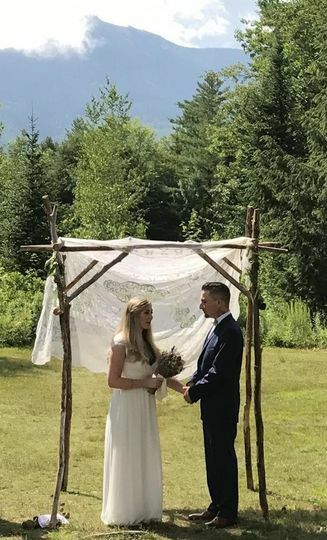 It was an honor and a pleasure to host your celebration, Danielle and Jon! The community of love that surrounds you made the weekend super special. We look forward to seeing you and yours for many summers to come. The World Fellowship Center (WFC) is an amazing place. 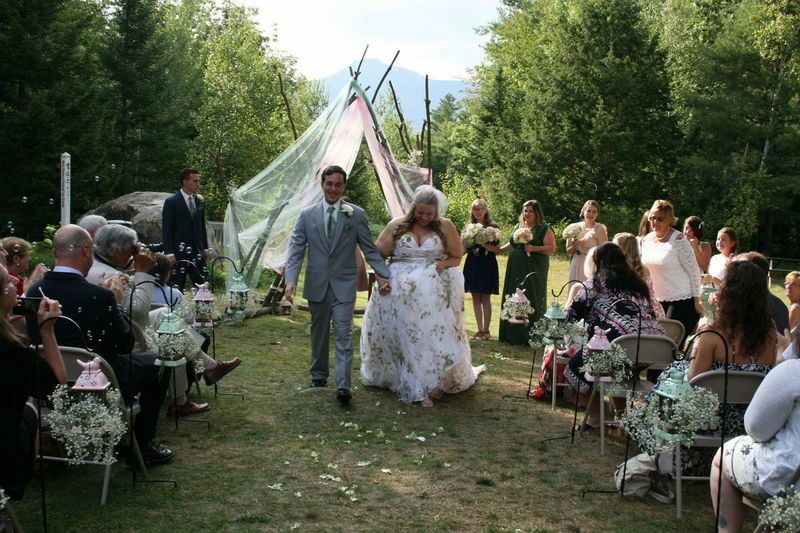 If you are looking for an affordable wedding venue in the White Mountains with hardworking, flexible, and friendly staff, then the WFC is your spot. Andrea, Andy, and Fiona were more than accommodating to our requests and plans. They helped make our wedding the best party of our lives! 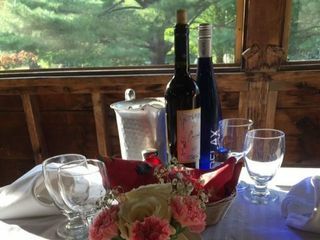 The accommodations are beautifully rustic and the food was outstanding! 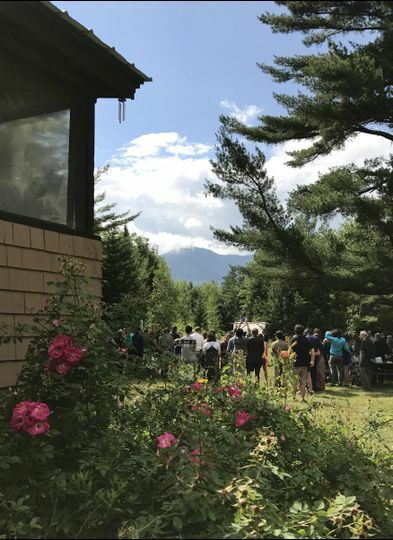 We turned our wedding into a weekend festival and all our guests (roughly 130) stayed at the site and ate all their meals at the main lodge. So convenient! We were surrounded by friends and family for three days with loads of activities around the area for every age group. 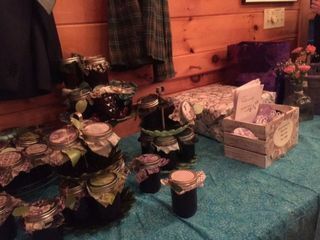 Perhaps the biggest plus was the knowledge that all the money we had saved up for our big day went into supporting programming for social justice awareness and environmental stewardship. 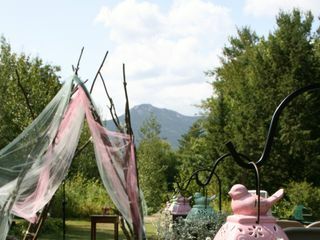 It was a wedding venue that met our wild wedding needs, but was also in-line with our personal values as well. We couldn't have been more happy! Thanks again. Andrea and Andy at the World Fellowship Center helped make our wedding truly special. We felt supported and loved through the entire process and the WFC Staff are absolutely fantastic. 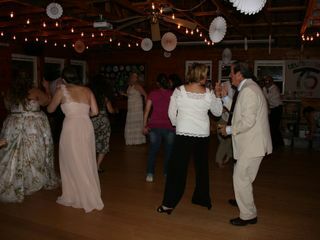 We were able to host an entire weekend event, including a talent show and bonfire the night before the wedding. 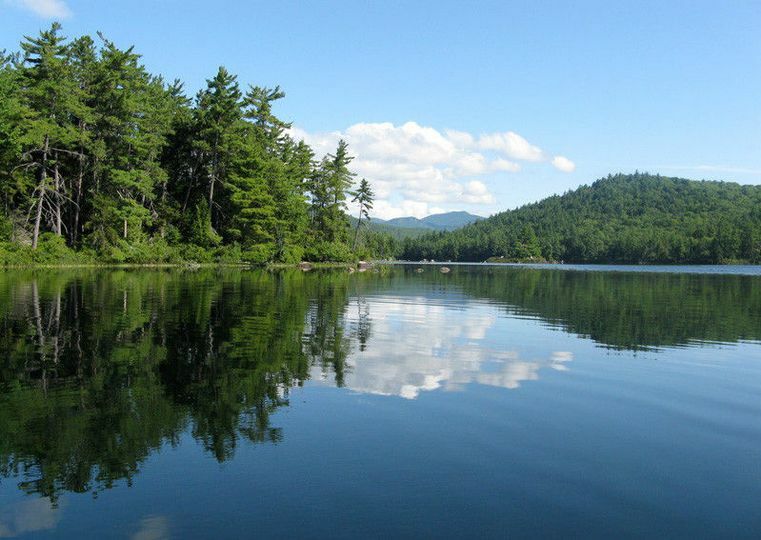 Our guests loved that they could stay on location at the WFC and made good use of the hiking trails, pond and canoe/kayaks. We received tons of compliments on the food - especially the chicken enchiladas and macaroni and cheese with cauliflower. Andrea helped our guests pick wildflowers which we used to make bouquets and as table decorations. We are so happy that we chose to have our wedding at the World Fellowship Center.